South Africa’s reputation is of a hot country only capable of producing ripe, full-bodied, high-alcohol wines - a reputation that trends in the 2000s accentuated. The care that the best producers in Swartland take with their wines demonstrates that’s not true. Moreover, there are cooler regions in South Africa producing very different styles of wine from a range of grape varieties. 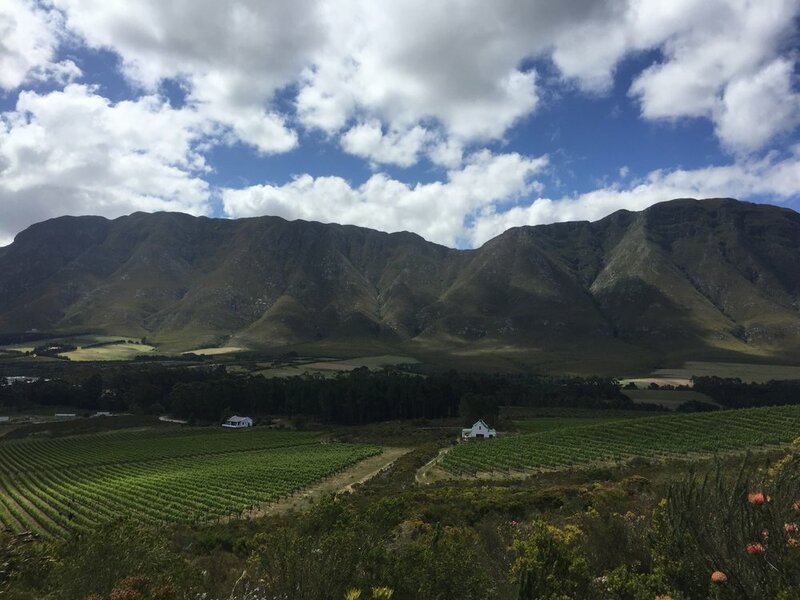 These are concentrated east of Cape Town along the coast, and I had the chance to visit some wineries which demonstrated the quality and variety of South Africa's wines. Not far from Stellenbosch, Franschhoek is still a warm region but it’s also a wet one, receiving 900mm of rain a year. And although the days are warm, the nights are cool - to the extent that it can be tricky to complete fermentation according to Marc Kent of Boekenhoutskloof. This winery is less than twenty years old, but it has already established several successful brands. They make Wolftrap, an extraordinarily good-value Syrah-Mourvèdre-Viognier blend, Porcupine Ridge, another good-value brand, and The Chocolate Block, one of the best known and most popular South African wines. But it was the white wines under the Boekenhoutskloof label that I really appreciated. Their Sémillon is taken from three vineyards lower down in the Franschhoek valley, one of which is over a hundred years old, the other two from the 1930s and 40s. Like Chenin Blanc, Sémillon is wrongly unfashionable and it’s refreshing to see a winery take it so seriously. The wine is aged in French barriques for just over a year at low temperatures of 4°C. I tasted two different vintages, which showed just how well Sémillon ages. The 2015, unusually blended with some old Muscat, has the waxy, nutty aromas associated with Sémillon, but with a spicy creaminess from the oak: a rich, textured, but very balanced wine (R300; ✪✪✪✪✪). The 2004 still has a vibrant freshness and a creamy richness to it, belying its age, but with a subtle maturity of almonds, honey, and a slight oxidation (R600; ✪✪✪✪✪). I also tasted more wonderful Sémillon straight from the barrel at Hermanuspietersfontein, based in the seaside town of Hermanus. The wine in barrel is from 2017, with an expected fresh acidity and with aromas of yellow and red peppers and fresh and roasted vegetables (✪✪✪✪✪✪). I hope I get a chance to taste this wine once it’s in the bottle. Hermanuspietersfontein source most of their grapes from Sondagskloof, 10km north of Elim. 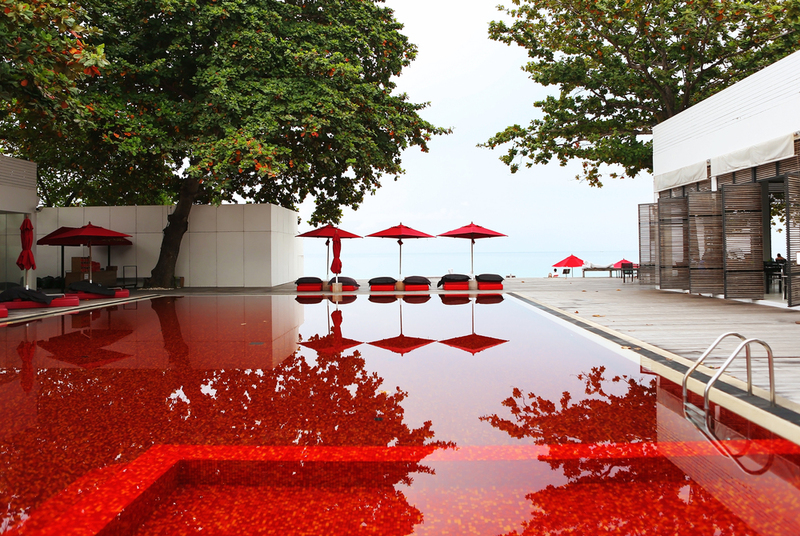 With plantings at 350m, this area has its own climate, receiving cool winds and rain from the ocean. With the engaging and passionate winemaker Wilhelm Pienaar, I got to taste through the range of wines made at Hermanuspietersfontein, mostly from barrel but also a vertical of the two styles of Sauvignon Blanc produced. There have been changes at Hermanuspietersfontein as Wilhelm has replaced the previous winemaker, Bartho Eksteen, and made the understandable commercial decision to focus on two rather than five different styles of Sauvignon Blanc. But there's a definite consistency to the two styles I tried, from the 2014, 15, 16, and 17 vintages. The Kaalvaat Moesie (meaning "barefoot girl") is grassy, peppery, tropical, and with a stony, mineral texture, while Kat Met die Houtbeen ("cat with the wooden leg") is aged in oak and is rich, creamy, spicy, and smoky. These wines have great structure, still fresh and vibrant even at over three years old. The price of the wines, especially the Kaalvaat Moesie, is remarkable: just R115 (less than $10) and R215 respectively. Hermanuspietersfontein also make a fantastic Cabernet Franc, as well as Bordeaux and Rhône style wines. The Cabernet Franc, named Swartskaap ("black sheep"), has the slightly herbal, herbaceous character that wines made from that grape should have, but it’s rich, fruity, and ripe. The 2015, bottled but not yet released, is superb (R265; ✪✪✪✪✪). North of the town of Hermanus is Hemel-en-Aarde, which means "heaven on earth." It really is beautiful, a valley rising to overlook the Atlantic Ocean. Very good Pinot Noir is made here, due to the cooling influence of the ocean, and exceptional Chardonnay. The oldest winery in the valley is Hamilton Russell; after my visit last year, I wrote that their Chardonnay would not be out of place alongside Burgundy whites in a blind tasting. Tasting the wine again in the idyllic conditions next to the winery lake, my impressions were only confirmed: the 2016 is richer and riper than Burgundy, but with a comparable structure, texture, and complexity (R390; ✪✪✪✪✪✪). Ataraxia (meaning "serenity" in Greek) are newer, located on the top of a hill looking over the valley. The tasting room is in the style of a church, emphasising the tranquillity of the setting. Their wines are consistently high quality, but again the Chardonnay stood out. Although Hemel-en-Aarde is cooler than most other South African wine regions, the summers are still hot and so the whites are rich with stone and tropical fruits. The Ataraxia 2016 Chardonnay (R250; ✪✪✪✪✪) is creamy from malolactic fermentation but with a fresh acidity, herbal, spicy, and nutty: powerful to stand up to the most intense food, fresh enough to drink on its own. One of the key words I heard during my trip around South Africa was "regionality." It's not the prettiest of words, but it underlines how the country's best winemakers are trying to move away from a uniform perception of its wines to an industry that's founded on wines that reflect exactly where they come from. Grenache from Swartland, old-vine Chenin Blanc, and Chardonnay from Hemel-en-Aarde show that South Africa has many styles of wine to showcase.